I use traditional hand tools and techniques that haven't changed for 100's of years. 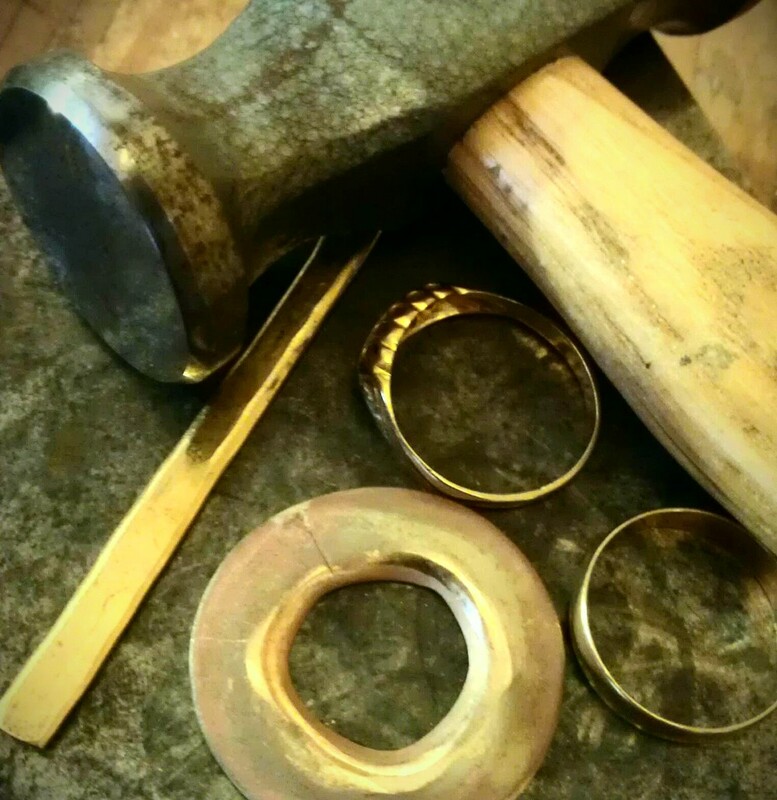 Wherever possible I always work in recycled or fairtrade precious metals. I can also work with old pieces of jewellery, wether this be a simple repair or remodelling them into something new and contemporary. I source all of the gemstones that I use very carefully. I always ask dealers exactly where any mined stones have come from and don't buy them if they can't guarantee that they have been fairly traded. Where possible, I like to use lab grown diamonds and gemstones as I feel that this is the kindest way of obtaining stones for both workers and the Earth. Many of my tools are made in the either the UK or Europe. I cycle or walk to post office, unless there's a blizzard or hurricane and then I'll use a car club car. I work with schools and charities running workshops where we make wonderful things out of recycled junk! My heating is a wood burner and my gas and electricity come from a "green" supplier. All of my lighting is low energy or LED and everything is turned off when I'm not using it. I've organised my work/life balance in a way that I get to spend lots of quality time with my young family. Although this may mean you have to collect your engagement ring from a Ballet lesson as a client did this week! Anna Fine Jewellery is just me. 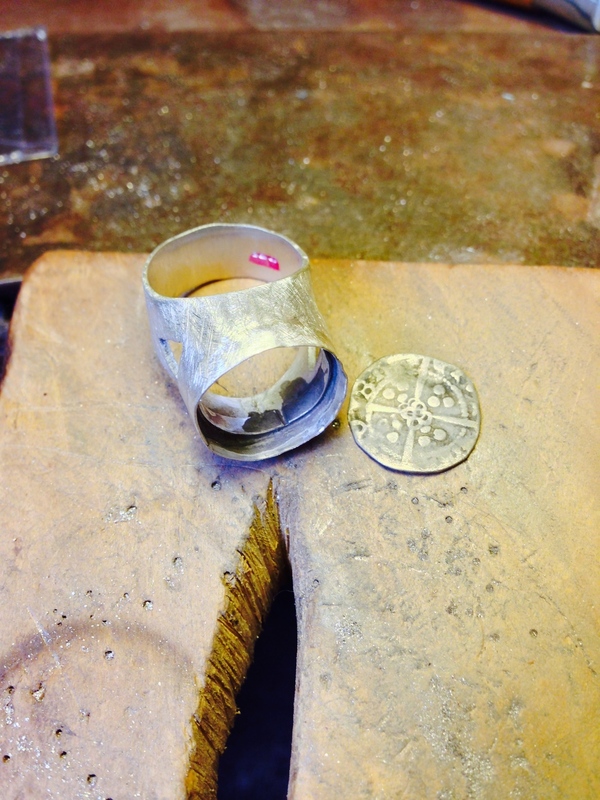 When you buy from me, you can rest assured that "I" have made your jewellery by hand in my workshop. Anna Fine Jewellery is small and exclusive and I intend to keep it that way! Happy Friday and this weeks news! Monday was bank holiday and as my parents were visiting from Devon, we went on a nice leisurely 4 mile walk from my house up the hill to the playground, pub, the Worcestershire Beacon (top of the hill) and back home again! Tuesday was back to work and a day of admin, organising, ordering materials, doing a quick alteration on a previous commission and finishing off some rings, ready to post off for hallmarking. On Wednesday, I went to an early Pilates class, then it was back to that admin and marketing. On Thursday, yet again, I had an admin day, but I finally managed to organise all of my emails into folders and get my inbox from over 1000 to a much more healthier 15! New ideas - making use of some of the tools that Cooksons have asked me to review! I've missed being my workshop this week but without spending all that time on the other parts of running my business, I would have lots of pretty sparkly things but I wouldn't have a business! Next week will be much more about "making"!